In many ways, marketing your tech company is unlike any other industry. Attitudes and technological capabilities update on an almost daily basis, creating an environment of constant change and disruption. In such an environment, finding the right marketing strategy is absolutely vital. Without it, you risk falling behind your competition, and losing valuable ground. Even the most cutting-edge software solution will fail if the marketing behind it doesn't match its benefits. That's where the inbound concept enters the equation. It's almost tailor-made to fulfill and surpass the requirements of technology company marketing, thanks to a nimble strategy that focus on content over promotion, and gated content that fits ideally into the conversion process. Anyone with even the slightest experience in this industry knows: change is inevitable. A new software package can easily disrupt entire sections of technology, changing the landscape and leading to new requirements for any brand competing in the same space. To succeed, you need an agile marketing strategy that helps to make these adjustments seamlessly. 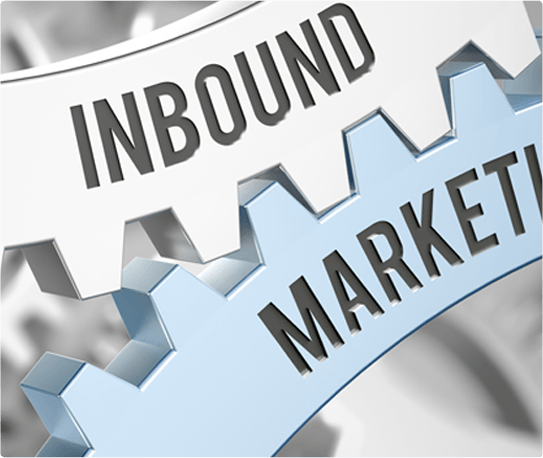 Inbound marketing, it turns out, can be that strategy. Implementation includes a comprehensive social media strategy, along with other digital tactics such as email, search engine optimization, and content marketing. Most importantly, though, are the real-time analytics. Everything within your inbound strategy is trackable, allowing you to make seamless adjustments. When performance begins to tail off, you can make changes quickly and adjust your content to stay ahead of the game. Another core advantage of inbound marketing for tech companies is your ability to target. Especially startups in this space don't tend to offer mass-market appeal; instead, they focus on a specific segment of the population, seeking to solve a very specific need. Using traditional advertising, it can be difficult to reach that niche population. Switching to an inbound approach, however, makes the same process more natural. For instance, you can begin to focus your SEO efforts on long-tail keywords that are specifically related to pain points your software solves. Similarly, your social media and content-based efforts can begin to formulate a brand identity tailor-made for your audience. Add to that an integration of buyer personas, and your targeting efforts become better and more successful. Speaking of content: in the technology space, thought leadership is absolutely vital. New companies don't just break through the noise with their product; they break through because people begin to see them as credible solutions to real-world problems. With the right content, you can accomplish that goal. On your blog, as well as gated behind a sign up page, share tutorials of your package, infographics about success statistics, and software comparisons. Include discussions about industry trends and the future of the industry, and you will begin to attract attention. Through social media and SEO, you can get the word out about your content. 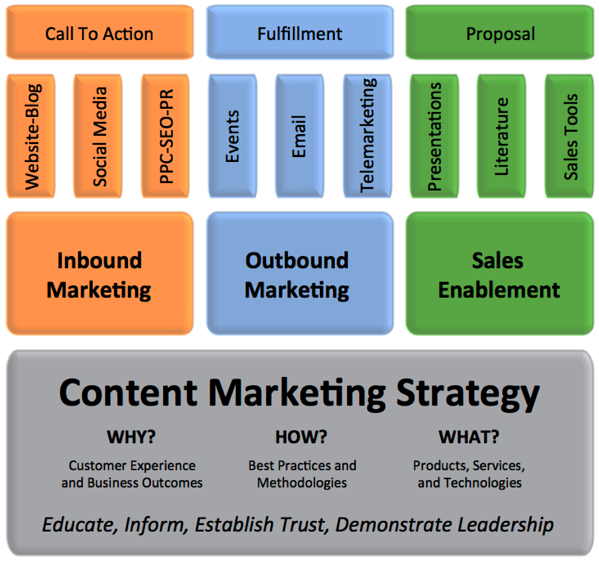 Gated content is especially effective, generating leads that can be nurtured toward a conversion. A large portion of tech and software companies sustain on free trials and freemium versions, which can offer potential customers and subscribers a taste of its benefits before committing to the real deal. In isolations, these trials work; conversion rates can exceed 25 percent. What that number doesn't cover, however, is the power that inbound marketing can add to this sales model. Within an inbound framework, the trial doesn't stand in isolation, but becomes part of a larger lead nurturing effort. New leads are consistently pushed toward a free trial to experience the product for themselves. At that point, new nurturing messages seek to maximize the trial experience, offering tutorials and tips for users. Finally, toward the end of the trial, the lobbying for conversion to a paid subscriber or customer can begin. Finally, don't underestimate the benefits of inbound marketing for technology companies after the sale. Especially among software providers, customer lifetime value (or CLV) is a crucial metric. Especially in a subscription business model, the loyalty of a single subscriber relates exponentially to revenue generated. Most traditional marketing strategies focus largely on acquisition. Inbound, however, can be leveraged just as well for retention. Post-conversion nurturing flows help to get new customers engaged, and cold subscribers active. Meanwhile, the importance of social media is reflected in social listening and rapid response mechanisms, which allow you to respond to questions and concerns before they become issues. And the possibilities don't end there. For instance, you can build the same type of gated content mentioned above, but exclusively for customers. An industry trends webinar, for instance will attract even subscribers who are thinking of jumping off. In other words, the full inbound suite is at your disposal to increase CLV. Of course, these are just some of the many advantages that inbound marketing for technology companies can provide. Implemented the right way, you will gain the benefits of increased SEO, a more comprehensive web presence, and detailed analytics that allow you to track exactly how your efforts are actually performing. In short, this new way of promotion can play a major role in elevating your tech product and brand above its competition. To get to that point, you might need help. Especially if you are just beginning to grow your revenue and customer base, implementing inbound marketing for your tech company is the perfect choice. For help in getting started on that journey, contact us.